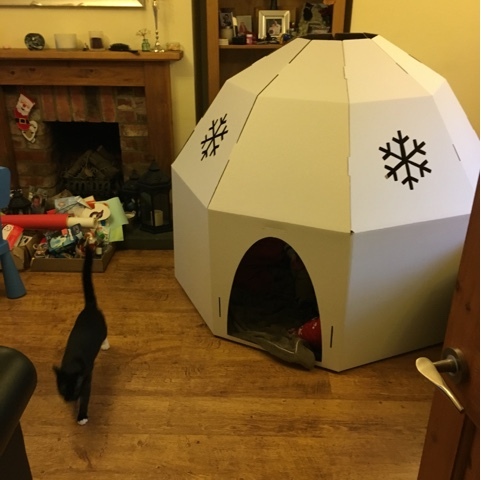 We were recently challenged to create an igloo fit for 'Santa and all of his elves' from Ocean finance loans. 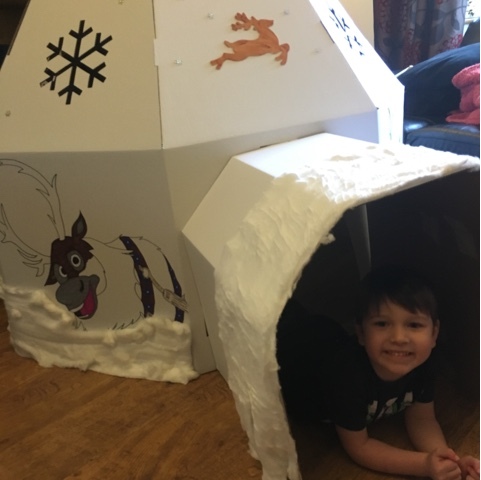 T wanted to go all out traditional with our igloo and so we decorated it in a winter theme with some of the frozen characters added on. 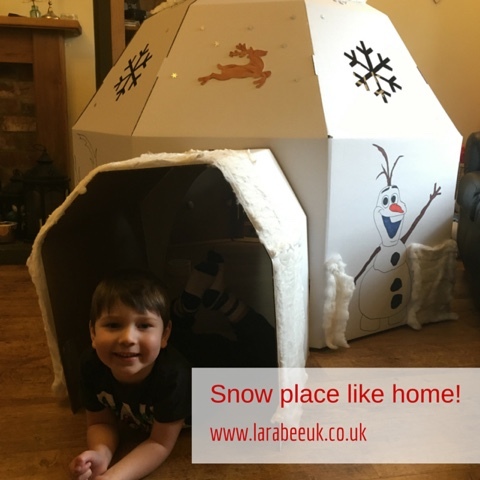 We were sent the rather fabulous cardboard igloo playhouse and a vouchers for £15 to purchase supplies. As you can see the igloo is a fabulous size! We set to work installing some lights in the top to make it look like a starry night, we they laid cotton wool 'snow' over the top. We brought a wooden reindeer from hobbycraft and painted it brown, attaching mini snowflake confetti all over the sides. We finished our igloo with some drawings from frozen which The Hubs added for us, which turned out really well. And we added more snow around the bottom and on the entrance. 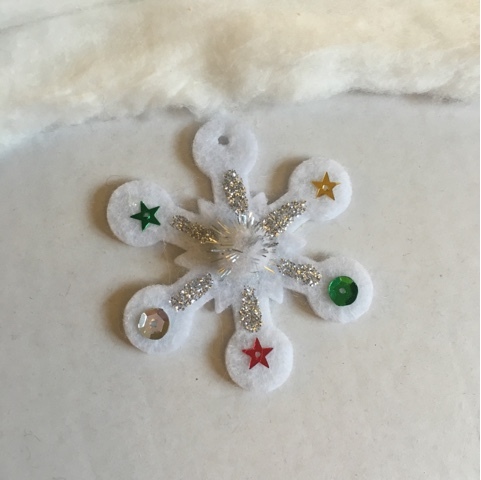 We brought some snowflake kits from hobbycraft and make those up, sticking them around the roof of the igloo. 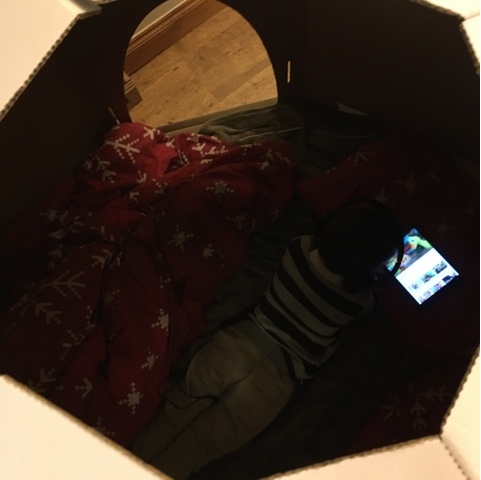 To complete our igloo, we added a fake fur throw and some winter blankets and T can now often be found nice and snug in there watching the iPad or reading a book!